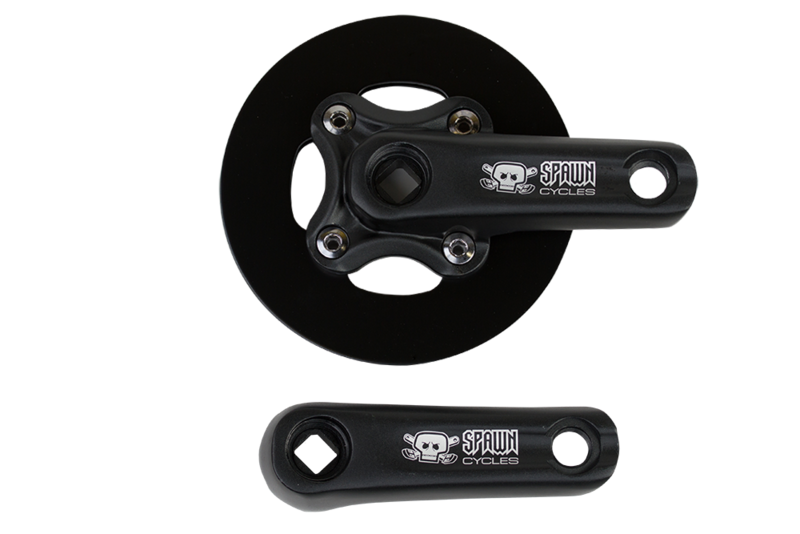 Exclusive to Spawn Cycles are what we think are by far the coolest cranks ever built for a kids' bike. 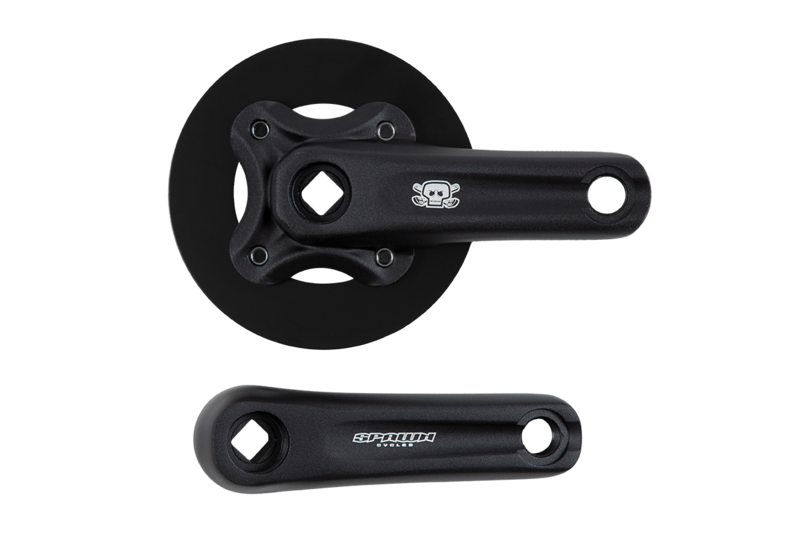 The 6061 T6 cranks with a 4 arm spider come in annodized black finish with the Skull & Crankbones logo. A 64 mm bcd chainwheel fits these guys and you can throw them on a standard square taper spindle. Comes with 22t chainwheel and chainguard.